Friends, please take a minute to check out my recent Op-Ed published in the Grand Junction Sentinel on Colorado River water conservation. Young farmers need to be at the forefront of the discussion of how to build a smart water future for Colorado and the Colorado River Basin! Please also note the action at the bottom–sign on in support of water conservation at startwithconservation.com! Following a decision on Jan. 29 made by the Colorado Water Conservation Board, it’s clear that people are listening. CWCB in near unanimity turned down a request from the Flaming Gorge Task Force to fund further research and discussion into the development of giant new water projects like the proposed Flaming Gorge pipeline. The pipeline, first proposed by Front Range developer Aaron Million, would have diverted water from Wyoming’s Flaming Gorge Reservoir to Colorado’s Front Range at a cost of $9 billion to taxpayers and, according to a study by Western Resource Advocates, would have resulted in $58.5 million annual losses to the region’s recreation economy by draining one quarter of the flow from the Green River. The pipeline was vigorously opposed by hundreds of Western Slope businesses, the Colorado River District, seven Western Slope counties and the cities of Grand Junction and Fruita. The National Young Farmers’ Coalition also opposes the Flaming Gorge pipeline, and any other new diversion projects, until all conservation opportunities have been thoroughly explored. We are in complete agreement with Hickenlooper that water conservation must be our first priority over costly and controversial diversion projects, and we commend him and the CWCB for their decision to avoid a lopsided focus on giant new pipelines. 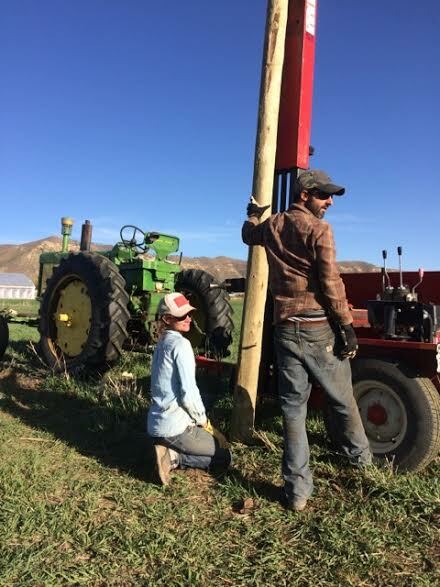 Young and beginning farmers and ranchers in the United States and Colorado are playing an increasingly crucial role in our nation’s food security, natural resource management and rural economy, and we are eager to take on a major role in meeting water challenges through conservation. With the average age of farmers in the U.S. now 57 years old, young and beginning producers are the ones who will face the anticipated deficits in water supply that threaten Colorado agriculture. The U.S. Bureau of Reclamation’s thorough Colorado River Basin Water Supply and Demand Study illustrates the gap we will confront, predicting a sizeable deficit by 2060. How will we as a state respond? A new poll commissioned by the business coalition Protect the Flows and conducted by Republican polling firm Public Opinion Strategies and Democratic firm Keating Research, finds Coloradans across the political and geographic spectrum will stand with the governor. An astounding 80 percent of Colorado residents support improved water conservation measures to address the state’s growing water needs (that’s 73 percent of Republicans, 88 percent of Democrats, 95 percent of Western Slope residents and 80 percent of Denver metro residents). The Bureau of Reclamation bolsters that sentiment in its study, positing municipal, industrial and agricultural water conservation as one of the timeliest and most effective steps we can take to mitigate a deficit crisis. Further, a recent study in which Colorado state government participated indicates that improving the efficiency with which we use water would cost only a quarter of what it would cost on average to ship in more water from rivers with new pipelines. In addition, 88 percent of Coloradans support state incentives for farmers and ranchers to improve irrigation practices and technology. One such opportunity could be to launch a program like the Massachusetts Enterprise Grants for Agriculture program, which is modeled after California Farm Link’s Individual Development Account program. These programs provide a matched saving account for beginning farmers. In the California program, for every $100 a month that a farmer saves, he or she receives $300 more a month from CA Farm Link. This adds up to $9,600 over the two-year program period, allowing the farmer to make essential investments in his or her operation. Young farmers across Colorado are heartened by the importance Hickenlooper has placed on water conservation. And the recent poll shows that’s exactly what a majority of Coloradans want as well. In fact, 87 percent of us are willing to make significant changes in household activities to reduce our water use by 20 percent in the near-term. We urge others to show their enthusiasm by visiting http://www.StartWithConservation.com and signing a petition to Hickenlooper saying that they, too, are with him on a “conservation first” agenda. Young and beginning farmers know that conservation and agriculture must go hand-in-hand in this age of limited and diminishing resources. We are most eager to join with the governor and others in the state to mobilize our people and our resources in implementing conservation measures. With a vast majority of Coloradans supporting conservation over diversion, and incentives to conserve agricultural water, we look forward to playing a major role in building a secure and abundant future for all of us. The National Young Farmers’ Coalition represents, mobilizes and engages young farmers to ensure their success. 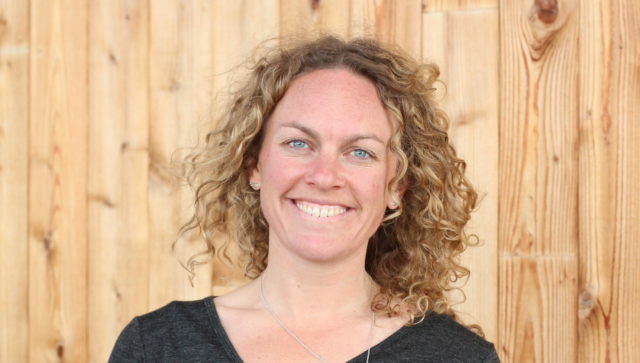 Kate Greenberg works with NYFC on the Western Slope. She can be reached atkate@youngfarmers.org.